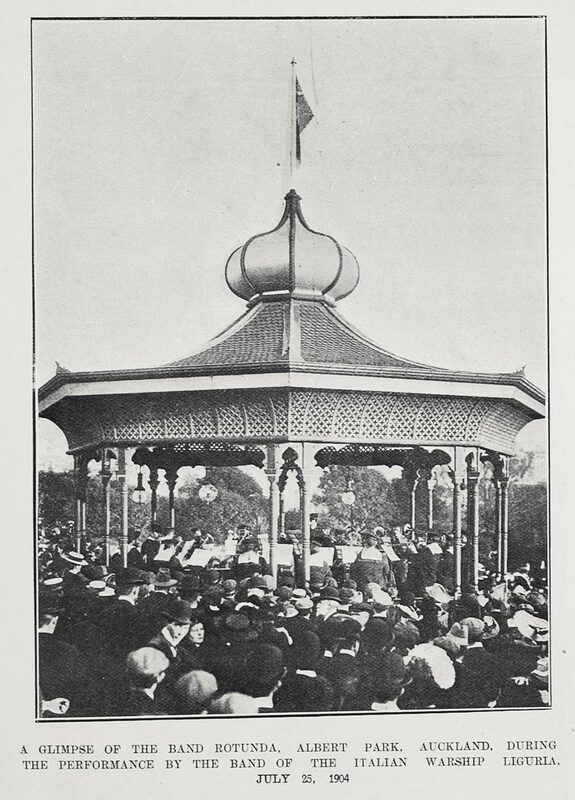 Strike up the band for Albert Park. The band stand was built in 1901 and is the oldest surviving band stand or rotunda in the Auckland region. It was designed by James Slater, who also planned the layout of Albert Park. One of most interesting features of the band stand is its onion-shaped, domed roof. It is made of sheet metal and topped by a pointed finial. 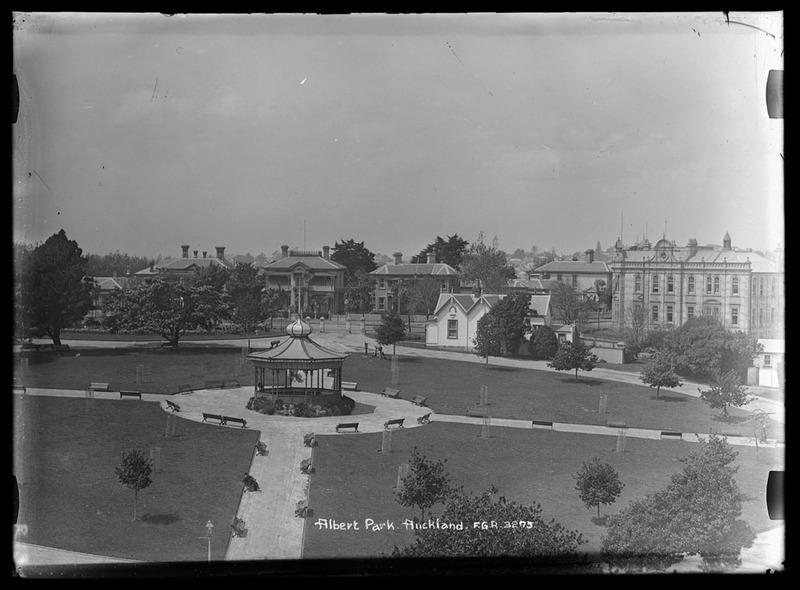 The band stand is a registered category II historic place under the Historic Places Act. But it is just one of a number of structures, monuments, artworks, trees and gardens that make this the region’s finest Victorian public park. 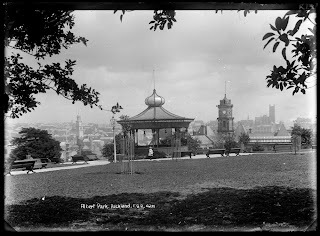 This is reflected in Albert Park’s category A status as a protected heritage place in the legacy Auckland City District Plan (Central Area Section) (see pp.4-6). 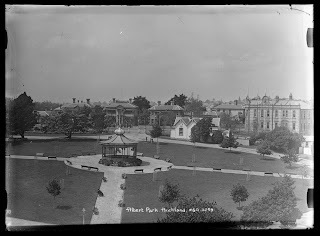 Auckland Libraries has a number of heritage resources in its collections relating to Albert Park and the Heritage Images database has a large collection of historical and more contemporary images of the park, including the band rotunda (enter 'albert park' or 'albert park band rotunda' into the keyword search box).